Q. Why was this need felt to renovate Witlinger’s look? 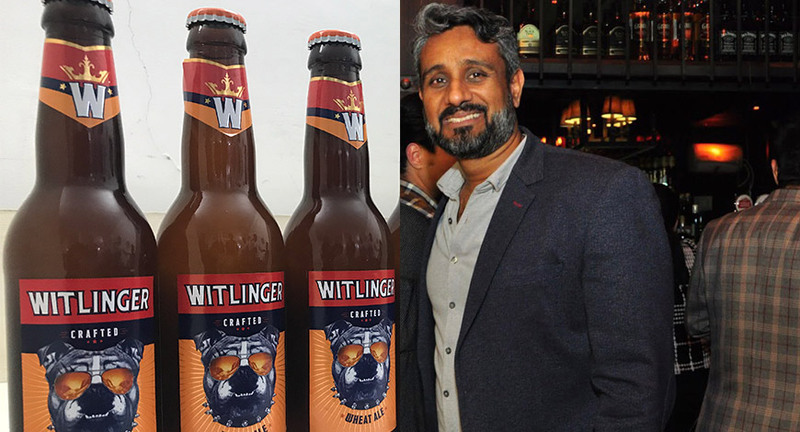 The new packaging showcases our true personality as a craft beer, current design was typical and more European so to connect more with the Indian audience, we thought of bringing about a change. Our new design of a British Bulldog summarizes honesty, fun, and attitude and this is what we want to represent as a beer brand. Q. Where all in India have you launched the beer with the new design so far? We have already launched it in Goa, next would be Bangalore, Mumbai and then Delhi in February next year. Q. Why did you choose PetFed to launch the new design? Other than our design of a Bulldog which would have been ideal to be launching in a pet festival such as PetFed, the festival also attracts a niche and an elite crowd that we wanted to target. And, that is how we thought of giving PetFed a thumbs up. Q. Which are the major events that you have partnered with before? In the past, we have partnered with events like Delhi Food Truck Fest and Grub Fest, other than these two we have also made alliances with several other events and festivals. Q. What is your marketing budget for 2018? We would be spending around 30 per cent of our revenue towards marketing in the next calendar year. Q. You had introduced concepts like #nowrolling and the recent #boldlybritish to engage with consumers and to create a brand presence, what is next that you plan? At present, we would be focusing on these two concepts only for the next 5 to 6 months and after that perhaps, we would think of renovating our approaches. Q. What were the challenges that you faced when you entered the market? And how different are the challenges today? It was an early pattern when we got introduced to this sector, there were few micro-breweries in Gurgaon for craft beer but the demand is far better today as compared to the times when we entered. There is definitely still a long way to go to call it a big segment, perhaps another 5 years down the line, but we have started walking in that direction. The biggest issue is availability, in my opinion. Q. And last but not the least, please elaborate on Witlinger’s experiential philosophy. We are trying to connect with millennials through well-thought and delivered ideas. Creativity in thought is what we strive for. Beginning with the #nowrolling campaign we will try to push our elements to achieve what we are looking for.